A few days ago we brought an application to watch in your Chromecast any video on the web. Today we have a similar tool, because we like variety, but honestly, the last was more complete. Video & TV Cast allows you to watch the videos you find on the web, regardless of the browser you use, but if the video have DRM protection you won’t be able to cast it to your Chromecast. Another of the bad points is that you don’t have playbar to go forward or back on the video, how do you unlock it? Buying it. The good thing about it is fairly simple to use. 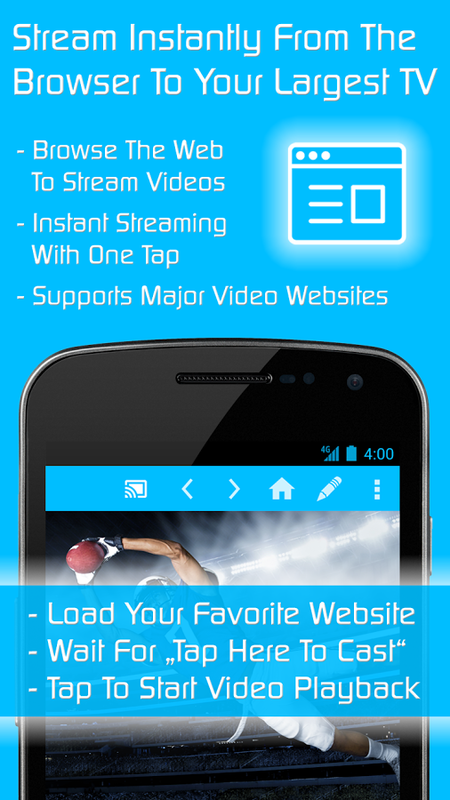 Simply enter the website you want and the application will detect the videos on it. Now you only need to click the link about the video you want to watch and there you go! Note: The application is free, but to remove the ads and get some tools, you should buy it. 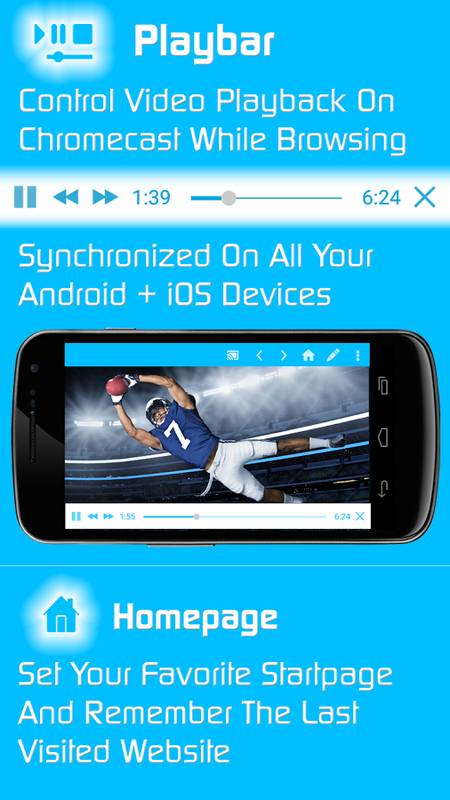 This application is not ‘screen mirroring’ it shows only the video you want to watch on your TV.